There are 2 reasons - and ONLY 2 reasons - why you SHOULD get extra passport pages. 1. You want to save $28. $110 The cost of a new, standard-issue US passport (renewal). $82 The cost of adding passport pages (26 or 52 - your choice, same price) added to your current passport. As a frequent backpacker, Couchsurfer, and a former dirty, broke Peace Corps Volunteer, there have been moments that I've been seriously hard up for cash - and $28 can go a LONG way in many of my favorite parts of the world. So I get it. You're broke. Get the extra pages, and buy yourself something $28 worth-of-nice. 2. You must travel in the next 2 weeks. 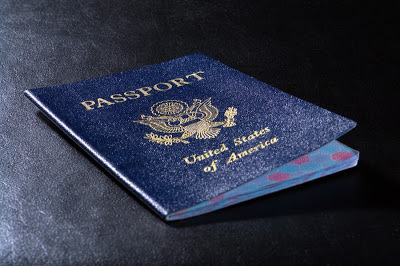 Except in cases of genuine emergency requiring immediate travel, U.S. passports are produced in the United States and sent to our Embassies/Consulates overseas by express mail. This takes 2 weeks. And no, "I really need to get to the full moon party in Thailand on Friday" is not a 'genuine emergency' - at least, not according to the embassy. So if you're down to your last passport page and you've gotta hit the road tomorrow, opt for the extra pages. 1. Your passport will look like it was taped together by a 2nd-grader. When I was in high school, a friend of mine submitted a semester-long project stapled inside of a cardboard box. I'm not certain that it wasn't him behind the desk at the embassy in Kuala Lumpur. Those are 52 extra pages, taped - yes, TAPED inside of the over-stretched binding of my standard-issue passport. I'll admit, my passport was already pretty beat up - he was never going to win any beauty awards. But now he could barely get to first base with a Big Mac wrapper. 2. You could spend a mere $28 to get a shiny, brand-spanking new passport. No matter how cringe-worthy your last passport photo was, you can get it replaced. 3. You'll never fill your passport now, idiot. It's pretty much the dream of every traveler to retire a passport before it reaches expiration.